They call themselves the “Black Tie Cacti”, and they’re the nine winners of the Cactus Pear Music Festival’s Young Artists Program for 2017. The musicians range from 16 to 18 years old, auditioned for the part back in April of this year and were chosen to perform an hour and a half program for this year’s festival. Not only is this a great opportunity for the people of San Antonio to enjoy young talent, but it is also a stepping stone for these young musicians into a lifetime of music. Every year, young artists are chosen through an audition process and awarded full-tuition scholarships for an intense two-and-a-half week program that teaches the kids the structure of an ensemble, and how to study and perform chamber music. The kids are given private instruction and chamber music coachings by some of the Festival Artists, and exposure to future opportunities in classical music. For the first part of the program, the musicians are taught their performance music during rehearsal, and later on out into the community to perform in various retirement homes, and even in the annual Rotary Club of San Antonio meeting. Check out the artists play the piece in the video below. For more information on the Young Artist Program, and to see the full list of winners, visit the YAP website. A musical tradition was created 18 years ago here in San Antonio called the Cactus Pear Music Festival and it was created by a former concertmaster of the San Antonio Symphony, Stephanie Sant'Ambrogio. “I knew I wanted to start a chamber music festival because there was nothing going on, classical music speaking, during the summer months," said Sant'Ambrogio. 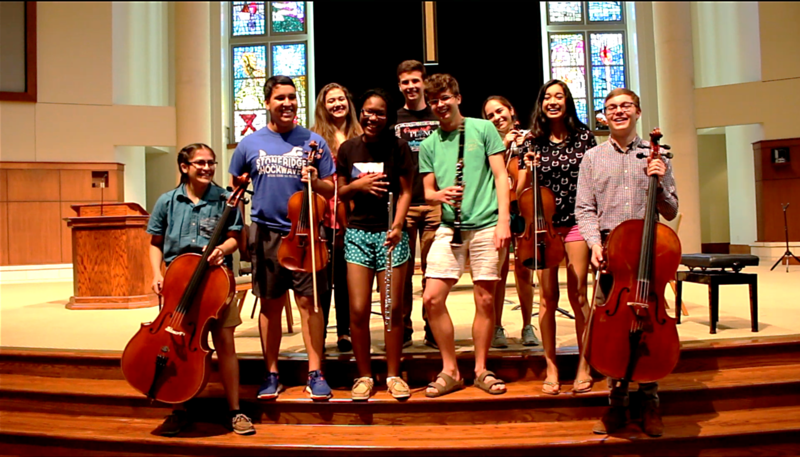 Youth Orchestras of San Antonio tackles a fun project, which features more than just music.